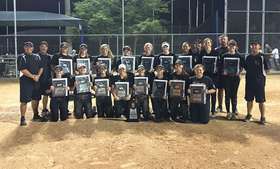 2012 ASA / USA 18U A National Championship "Runner Up"
The Carolina Cardinals are one of the oldest and most prestigious fastpitch progams in the nation. The 2013 18U Carolina Cardinals Chandler team continues to carry on the vision and legacy our founder, Coach Ray Chandler. The Carolina Cardinals Chandler are the reigning "2013 ASA / USA 18U A National Champions" going 7-0 in Salem, VA to win this prestigious tournament yet again. 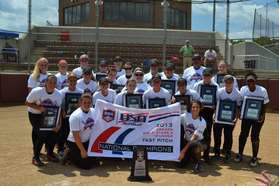 The Cardinals were the "2006 ASA / USA 18U A National Champions" and finished "runner up" in the 2012 ASA / USA 18U A National Championship Finals. We play a highly competitive schedule of ASA and PGF tournaments nationally, including the Sun Classic, Team NJ, Independence Day in Boulder, CO, and ASA Nationals. Our goal is to give each of our players every opportunity to showcase their talent to as many college coaches and scouts as possible, in hopes that they can realize their dreams of playing at the collegiate level. Congratulations to all our graduates who will play in college.